Because there were so many guests coming in so early on to the wedding, we had already booked the MTNL Guest house for accommodation for everybody…including us…all of us had decided to move in to the facility and settle in before the actual madness started. It was a good plan until the point when I took my mum and my grandparents to the guest house, only to find out that I had to fill out one form per person with every tiny minute details of their stay. Ideally one form per room is the norm and something that is commonly seen everywhere, the part which baffled me was – what happens on the heavy days when all the (100+) actual guests come in…how to manage then? !!! My temper levels were already on a high from the past few days…its quite stressful, all this planning…and no matter how much you think you have sorted everything…the last few days are always crazy…no amount of careful planning can account for all these glitches…but saying so, it needs to be tackled…So I decided to stay back that day…and not go to receive my cousins. Instead I sat in the front desk the first half of the morning filling out forms of all those guests I knew who were definitely coming. I know I said it was a chaos but let me tell you its a beautiful chaos 🙂 Two weeks before the wedding, I couldn’t think of anything other than counting the last remaining few days away from the hubby. It was a miserable time. I kept looking at the watch or time of the day praying to God to get the wedding day fast fast. I couldn’t wait to see and be with the husband. Waiting time is such a sweet torture, that I would say now…but when you’re actually dealing with it…its just plain torture ! By afternoon, all my guests had arrived for the day. I was super duper excited. The wedding feeling was setting in slowly. With cousins squeaking with joy, teasing and pulling my leg it was one hell of a fun day. All this silly banter, and already it was somewhere late evening. I forgot all about the misery of the morning and sat down to show them all my wedding shopping a.k.a my bridal lehenga and other heavy outfits. It felt so selfishly nice when someone did a oooohhh soo pretty to each and every outfit.. 😀 it just made my day. I first showed all my trousseau sarees then came my suits and then the bridal lehenga. Finally I sat down to show my sangeet mehendi outfit. I had finalized on wearing a floral lehenga which my mum had stitched for me. I found the lehenga skirt and the dupatta, but wait a second, there was no blouse in the packet ! I didn’t panic. Considering its a shaadi ka ghar I knew it must be lying somewhere. I had recently visited Bhuleshwar to pick out the latkans and I was positive I had seen the blouse somewhere in the house. Like really positive that it was there. It was 8:40 pm. 5 mins into the search and the red alert was on. Everyone was told its a plain raw silk purple blouse with big latkans missing in the house. Everything else stopped and I almost had big big tears – I don’t know whether it was out on anger, tension, misery, helplessness…I think it was a good mix of everything. Like true detectives, my cousins asked me and my mum to recite everything we remembered seeing last about the blouse. I know it was stitched and brought back from the tailors – we took it to Bhuleshwar to get matching latkans – it was in our bag on our way back – I even remember wearing the entire outfit and swirling around in the house…But wait. Was the latkans added on to the blouse at that time? I think it was, but mum was confused and now so was I. We had searched every nook and corner of the house by now and it was nowhere to be found. My sangeet was 3 days away and my blouse was missing !!!! This is the last thing any bride wants to go through even a month prior to the wedding, and my event was practically ringing on our doorstep ! Suddenly I thought, may be we should check at our tailors. To put the latkans, I remember we had gone there. I think we had. From the past one week, we were practically visiting him on a daily basis, may be we left the packet there. The last week of the wedding is just such a pressure cooker for everybody involved, the mind just stops functioning in a normal manner. One keeps doubting themselves even for simple operations. It was 9:20pm. Time was running out and so was my luck for the day. Found a parking spot some distance away and just when I was reverse parking, BAMMM ! It took me sometime to grasp what happened and when I got out of it, I realized people were screaming all around me. A small tempo truck had banged into my car. Just when I thought this day couldn’t get any worse. There was no getting out of this one. I already had a long day and I needed to vent it out. I don’t know whether I was at fault, I was not in a frame of mind…but people were taking my side somehow…and I just needed to take out my frustration on someone. It was a small bump on the side of the car but poor soul really got it from me. He couldn’t say a thing. All thanks to fellow mumbaikars, they were ready to take him to the cops but somewhere at the back of my head….the tailor was the pressing concern. I knew my car had insurance but the blouse didn’t. I just locked the car, and in my pajamas ran towards the tailors shop. Time check – 9:40pm. Praying frantically what do I see – store shut for the day ! Sigh… I tried, I really did but when life wants to screw you over, there is no stopping it. It was saturday evening, and sunday was the official day off for the store…so the only way of finding out my luck was now on monday 10:30am. Tuesday afternoon 2:00pm was to be my Sangeet. 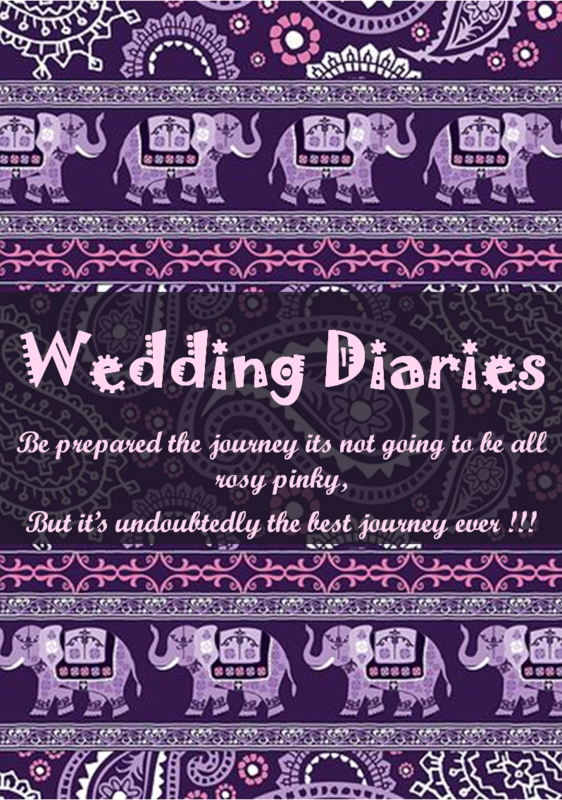 The Wedding Lehenga Story – Where & How I found it !